What do you think of these shades from Intensae? 7-free, cruelty free and vegan. Founded by hair colourist James Samual and photographer Christian Roman, they create their nail polish to match the current fashion season with on-trend colours. I've been sticking to pale neutral tones recently but I couldn't resist painting them with the deep purple La Fideles (inspired by Yves Saint Laurent's muse Lou Lou de la Falaise). It's quite the stunner and is one of those great black-but-not-quite-black shades (It's a little darker in person than the picture below suggests). I like dark nails at any time of year, but I like to feel on-trend by wearing them to match the gloomy weather and winter fashion. 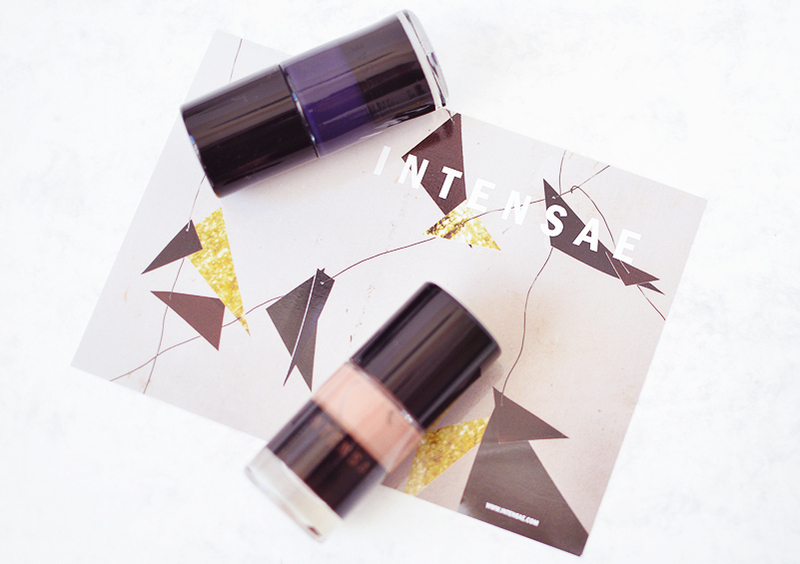 Intensae shades are £14.50 for 12ml. I don't know anyone who has ever actually finished a bottle of nail polish without it turning gloopy and drying up in the bottle before its completely used up, so I would prefer if they halved the bottle size and price, but that's a problem I have with all nail brands, not just Intensae. The formula itself is high quality and reasonably long lasting. I didn't use a base or a top coat with my application *gasp* and the tips had started to wear by day 2. Always prep and seal! I applied two coats out of habit too but one would have been fine as this particular colour is extremely opaque and has a wonderfully glossy, smooth finish. You can buy Intensae from Naturisimo here.